The country is indeed changing...of the 100 best-selling plumbing books, the top slots are dominated by deep green plumbing books. 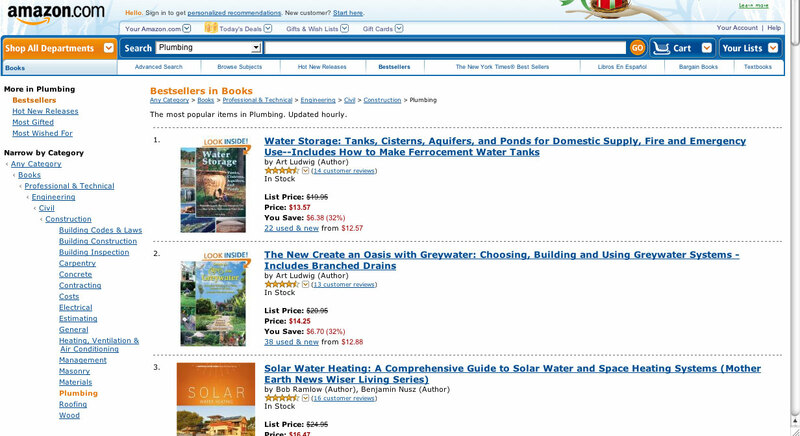 Our Water Storage (book) and Create an Oasis with Grey Water (book) have been in the top three for several months now. 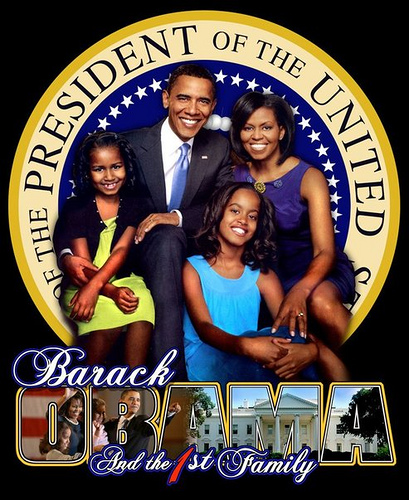 Check out the current ratings. As the mainstream economy deflates, it seems that those offering resources related to species survival are relatively thriving. I'd say that interest in our information has doubled in the past 18 months. ...we need to build smaller and for the long haul. A small home well crafted to last for centuries uses a fraction of the resources of a big house designed for a one-act play: the sale. This article would be par for the course in Mother Earth News...it's appearance in Fine Homebuilding is yet another sign that serious change is afoot. Check out our Laundry to Landscape page, which is a compilation of current best management practices for building your own Drumless Laundry System, as well as the information to run a business installing them, and referrals to local "franchisees" who can build one for you. 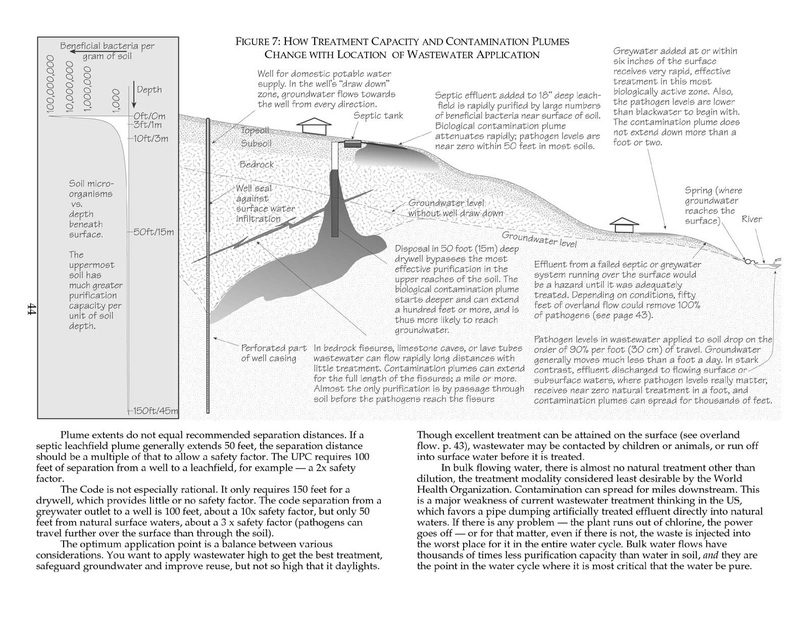 We have added tons of photos and information about our newest Earth, Orchard Toilet Plans. We've included plans and construction photos so you can make one for your house (or a bunch for your village). We've added a Tip jar feature to the Oasis site to make it easy for those who appreciate our several hundred pages of free information (but don't need books or downloads) to contribute to to the maintenance and expansion of this body of free content. The more people use the tip jar the more of the thousands of pages of of our unpublished original designs and content we'll be able to open source like this. New York Times interactive inflation graphic...an exceptionally nice example of communicating quantitative information in graphical format. ..and I have to say I would have been less suprised to have been living under martial law.